In what has been described as a “devastating decision”, the Leicester round of the HSBC BMX UK National BMX Series has been postponed. The surrounding land for camping and parking are underwater and even with the upcoming weather the water levels wouldn’t have dropped enough to hold the sheer amount of vehicles for the event. Huncote Hornets say the circumstances are completely out of the club’s hands and is a decision from areas beyond their control. Contingency plans have also been affected and cars can’t just be ‘dotted about’ the village as this would damage any chance of the Club hosting an event in the future. British Cycling and Huncote Hornets have been working hard to find alternative facilities, however it has unfortunately not been possible. In the interest of safety, the decision has been made to postpone the event as a last resort. 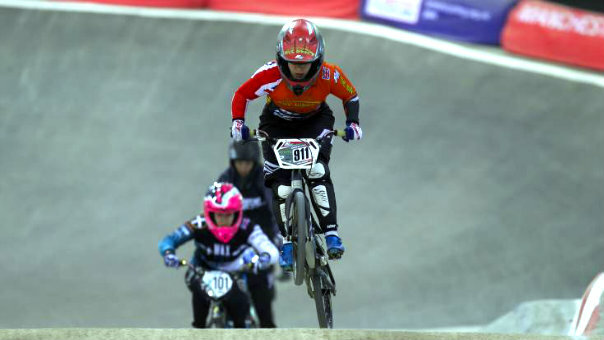 British Cycling are now seeking to find an alternative date, and will provide an update to BMX fans in due course. The series itself will continue as planned with rounds five and six in Gravesend, Kent, from 26th-27th May and the organisation apologises for any inconvenience caused by the postponement. They went on to offer apologies and thanks for the understanding being expressed after what they describe as a “serious amount of work” has been put into organising the event.